The Blue Velvert Mushrooms are also referred to as Mushroom Anemones and Disc Anemones. They were previously in a genus called Discosoma. 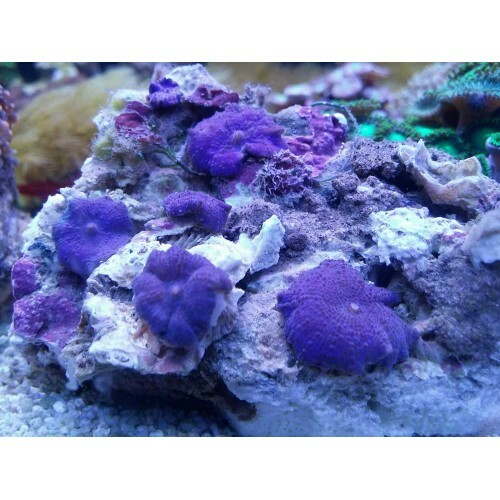 These corals display a wide variety of colors, textures, and patterns. Some are solid colors, whereas, others are striped or spotted.